Retailers must cater to the customer across touchpoints in today’s omnichannel world – offering impeccable and efficient customer service wherever the consumer chooses to interact with them. In fact, the e-tailing group’s Mystery Shopping Study sheds light on the impact of efficiency in e-commerce, revealing that roadblocks (like delays) can result in abandonment, lost sales and missed customers. In addition, the study provides insights into how top retailers are creating efficient shopping experiences for their customers, focusing on two areas – the checkout and logistics. The e-tailing group’s study found that the Web’s top retailers offer checkout pages that require five or fewer steps to complete. What’s more, the majority (98 percent) of retailers are helping customers save time by offering the ability to pre-populate customer profiles when checking out. To really streamline the checkout, however, many top retailers are offering one-click checkout (of course following Amazon's lead), which is particularly beneficial for mobile shoppers. In fact, the study found that half of top retailers are now offering one-step checkout compared to just 43 percent in 2013. Lastly, merchants should offer multiple payment options to cater to all of their customers and speed up the checkout process. According to the study’s data, 68 percent of top retailers are offering PayPal as a payment option, which is an increase from 62 percent in 2013. 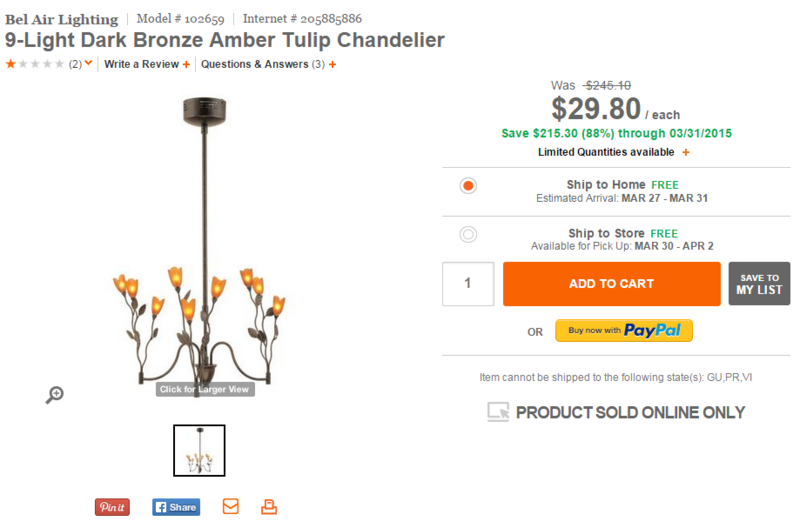 The Home Depot, for instance, enables shoppers to make a purchase via PayPal directly from the product detail page (see image). In doing so, customers simply have to log in to their PayPal account to complete their purchase rather than navigate the checkout page and enter personal information into forms. It is important to note, however, that the alternative payment industry will likely heat up in 2015, as other options such as Apple Pay, Visa Checkout and even Bitcoin are becoming popular choices among consumers. Thanks in large part to Amazon, consumers have high expectations when it comes to online shipments. Fortunately, many of the top retailers have responded, with the e-tailing group finding that the number of business days it takes to receive a product, based on a choice of ground shipping, has improved to 3.42 days from 3.8 in 2013. In addition to speedy shipping, retailers also need to focus on their return policies. According to the study, online return processing is available on 38 percent of sites, which is up from 27 percent in 2013. Moreover, 64 percent of retailers are offering prepaid labels as an added convenience for their customers. It is important for retailers to offer hassle-free online returns because doing so can be the deciding factor in a consumer’s purchasing decision. Moreover, retailers should highlight their return policy on their website in order to avoid confusion. 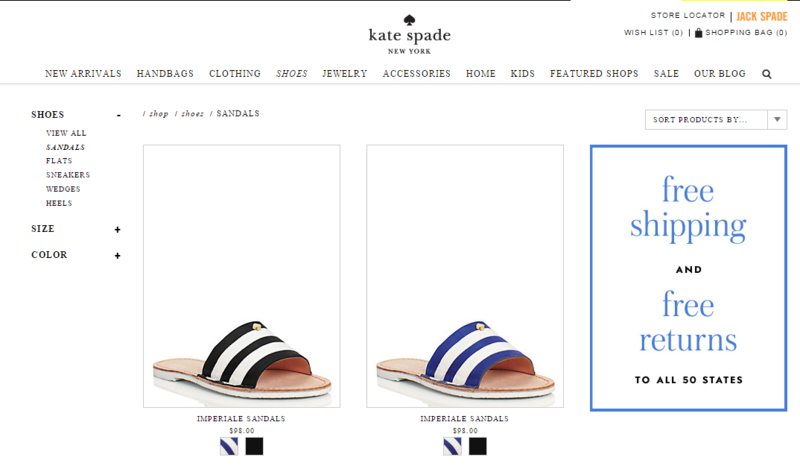 Kate Spade, for example, boldly features its shipping and return policy on its product search pages, which could influence hesitant consumers to convert.